The proper selection of seeds and their quality largely depends on the yielding and later the energy value of the Meadow, which will grow up from the seeds. Choosing the right mixture will allow in the future to obtain greater benefits from its use. The meadow blend is a mixture of intense and strong growth grasses. Provides a high yield with high carbohydrate content and dry weight. We recommend it especially for farms where needed is high, reliable level of production. Thanks to top-quality blend ingredients and composition reefs has a very large growth potential even in the most specific and difficult conditions. Among the hundreds of species in grass seed we have chosen those that have the best properties when using alternating meadow-grazing. In this way greatly increases the efficiency and the quality of land sown with this perfect blend. We recommend it especially on farms specialising in dairy farming. Its ultra-flat composition conducts to get good silage of feeding, by making its energy value is very high. This is a perennial blend perfectly suited to restore utilized land by reseeding. On board when we choose strong and at the same time efficient species of grass seed, we created a mix provided to establish pastures in permanent green areas and arable land. It is a mixture of very resilient seeds, that does not require special treatment. Quickly regenerates and cope in the harsh, dry conditions. 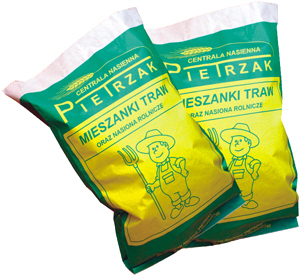 Carefully selected seeds of fodder grasses and legumes provide a large yield of green mass. The additional advantage is they allow quick regrowth of grass right after usage. In this way the use of the land where mixture was sown can be more efficient and bring more frequent lot swath. 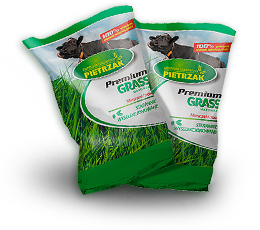 Based on our many years of experience and the results of the tests with cooperating with us laboratory WIORiN, we created a mix of grasses, which combines the best features of blend meadow grass and mow&forage mixture. Its versatility ensures perfect adaptation to a variety of conditions and applications. Blend gives a very high yield of dry matter with rich nutrition. It Is an ideal solution for farms to cattle. Having the characteristics of a mixture of hay&forage, very well suited for silage. Meadow, which will grow up from this blend gives a multidimensional benefits.